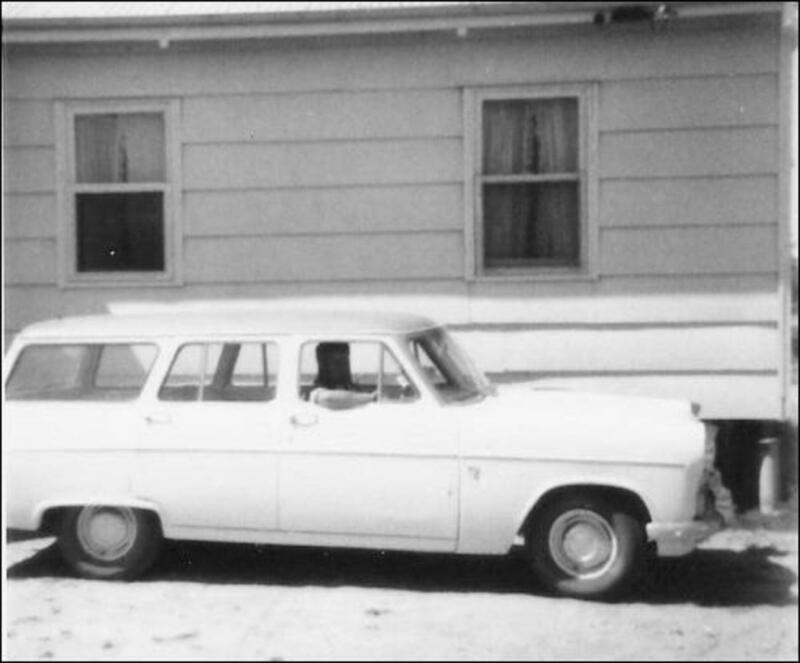 When I was ten years old in 1967 I moved to Australia with my parents and four siblings. Our house was made from Asbestos blocks. Any one of us could have developed Asbestos Lung Disease or Malignant Mesothelioma Cancer if the asbestos material had been damaged. We lived there for two years totally unaware of the danger we were in. My father died from Cancer. I do not know if living in this house was the cause or not. But I do wonder. 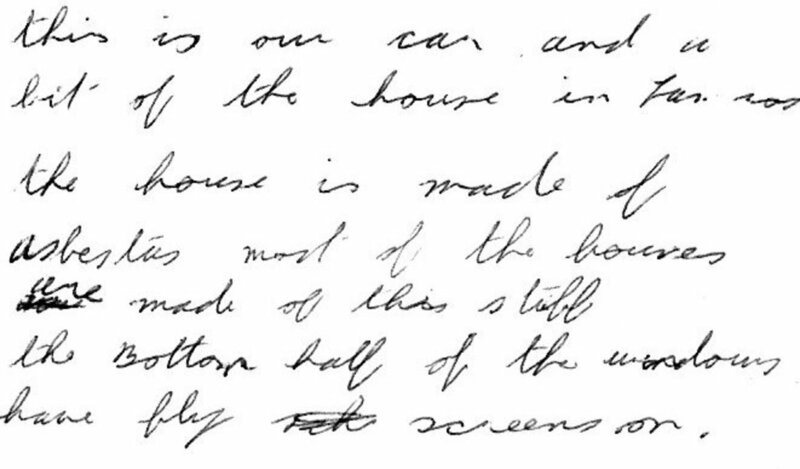 It reads: "This is our car and a bit of the house in Lameroo. 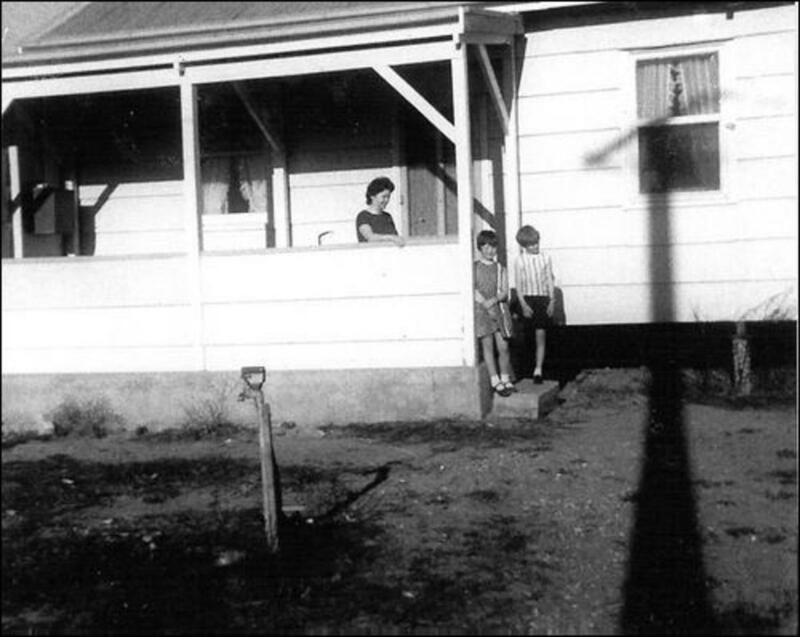 The house is made of asbestos. Most of the houses are made of this stuff. The bottom half of the windows have fly screens on." My parents really did not have a clue as to the danger the building materials used in our house could be so dangerous. Asbestos is still being found in buildings today. If the material is solid and undamaged then the experts say there is no danger. If the Asbestos material is damaged in some way then it is extremely dangerous. The official term for this is ‘friable’ This means if the asbestos product crumbles when touched by a person or breaks into pieces and becomes powder. What to do if Asbestos is found in the home or other buildings. When it is found in this state then all contact should immediately be stopped. An expert Asbestos removal firm should be called in immediately to deal with the problem. In Australia at present there are over 500 cases of Mesothelioma a year being diagnosed. But figures have suggested that within the next fifteen years this figure will nearly double. Australia and Britain are the two countries with the most reported deaths from the disease Mesothelioma. A worrying development for the medical profession in Australia. An estimated 20% increase of women who are expected to be diagnosed with Mesothelioma in 2011. This is due to the fact that the women were the ones who washed the overalls and clothes of their husbands and in the age before washing machines they were exposed to inhaling the asbestos that way. Asbestos was mined in Australia but the demand was so high that twenty two million pounds of asbestos was still imported into Australia for the construction industry during the 1970’s. Asbestos was used mostly as an insulating material for building products. In American construction Chrysotile was the most commonly used type of asbestos. The health danger of asbestos was finally acknowledged in 1980 and use of most of the material stopped. But by then it had been widely used. Nearly 80% of buildings and homes built before the late 1970’s still contain Asbestos. The US Environmental Protection Agency states that over 700,000 buildings in America today contain Asbestos insulation. This is present in insulation materials used such as the rolls and the loose chips for roofs and walls. Asbestos is extremely fire resistant so was ideal for this purpose. Floor and ceiling tiles were often made from asbestos because of this quality. It was mixed with concrete to build the walls of buildings. All the lining for water pipes, heaters and ventilation pipes and air conditioning fixtures were made from asbestos. When the Twin Towers were destroyed in New York the whole world saw the news reports of the huge cloud that was created when the buildings fell to the ground. It is estimated that over one thousand tons of asbestos was contained in that cloud along with other chemicals. Many of the emergency workers who survived the explosions have since died from cancer. Millions of tons of asbestos was imported into Britain. It was used in most building in the country in the 1960’s and 1970’s until the danger of asbestos was realised. Deaths from Mesothelioma have increased in Britain from 153 in 1968 to 2156 in 2007. Almost 2000 people a year are now being diagnosed with Mesothelioma in Britain. A notable increase in Mesothelioma cases is now emerging from the group of skilled workers who built the inside of the houses. Those included are carpenters, electricians, heating engineers, electricians, joiners and plumbers. In the UK the removal and disposal of asbestos and of substances containing it are covered by the Control of Asbestos Regulations 2006. This building product was used all over the world for years in the building of business premises and homes until it was known to cause Asbestos cancers. 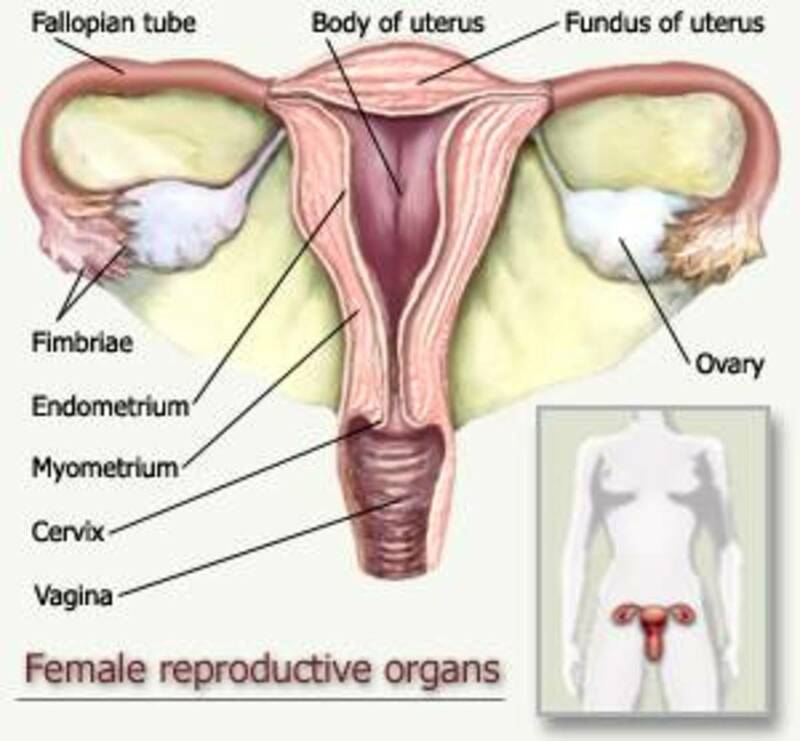 I explain the causes, treatment and diagnosis. There is support available for cancer sufferers with contact details you can access from all over the world. Mesothelioma is a cancer of the mesothelial cells which make up the lining of the lungs and other organs. Mesothelium is the thin wall of cells that surround the organs in the body. Once the body is exposed to asbestos the fibres aggressively attack the body. Scarring and inflammation of the Mesothelium occurs. Once it develops it grows and spreads quickly into the lung and the chest wall. The fibres cannot be expelled or broken down by the body. This causes asbestosis and often develops into the fatal disease of Mesothelioma. The occupations of those most widely affected by asbestos contamination are miners and construction workers. But workers who did certain jobs on the railroads and ship builders were also at high risk of coming in contact with asbestos. 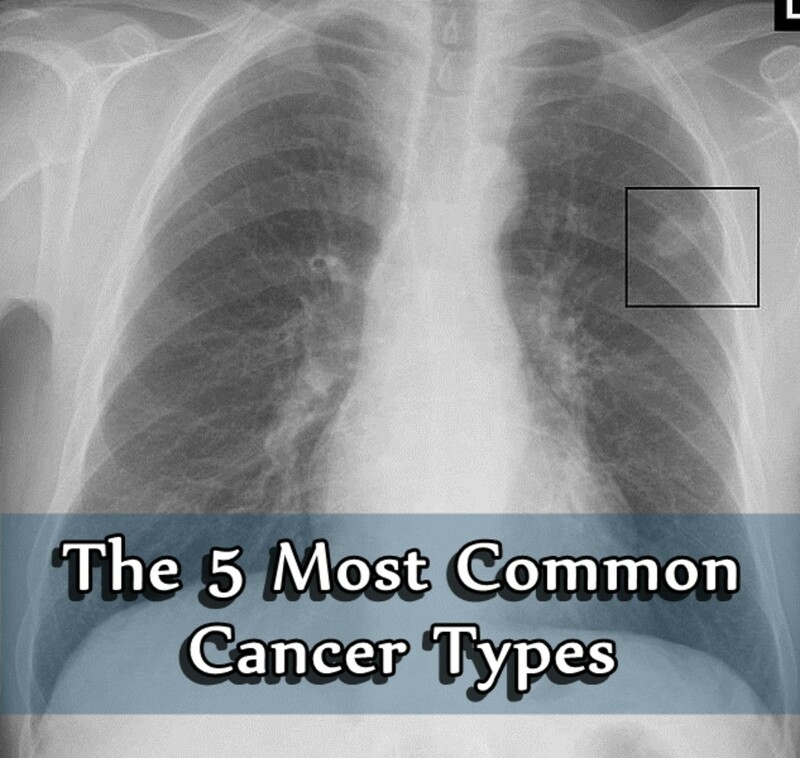 Mesothelioma occurs more often in men than in women and the risk increases with age. Malignant Mesothelioma has three varieties; Pleural, Pericardial and Peritoneal. Pleural Disease affects those who have had a job where they were exposed to a high level of asbestos in their work place. The asbestos affects the thin layer in the chest which creates a thickening or calcification of the lining of the lungs. It can take ten years or more to show up. This strain is usually not fatal but could easily develop into the fatal disease of Pleural Mesothelioma. This has happened because Pleural disease has spread from the pleura into the outer chest wall, abdomen, and heart. 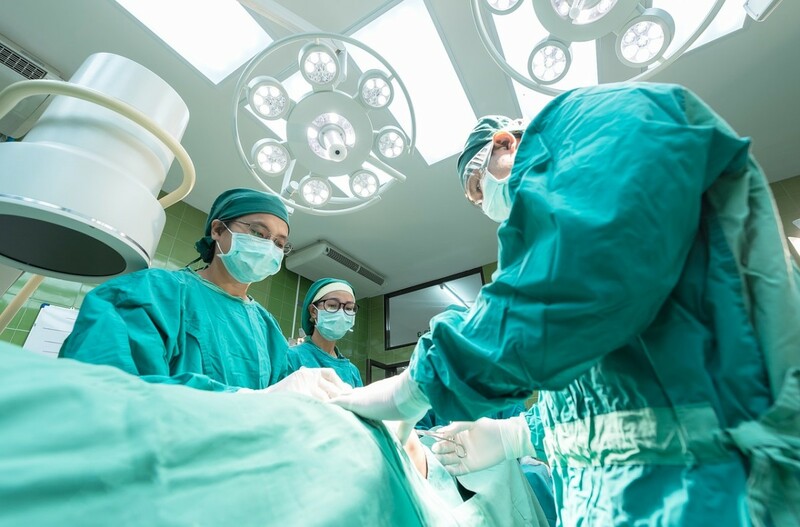 Surgery in some cases can be used effectively if the disease it caught soon enough before too much damage is done. Removing the pleura might be attempted but the risks are great from the operation itself. 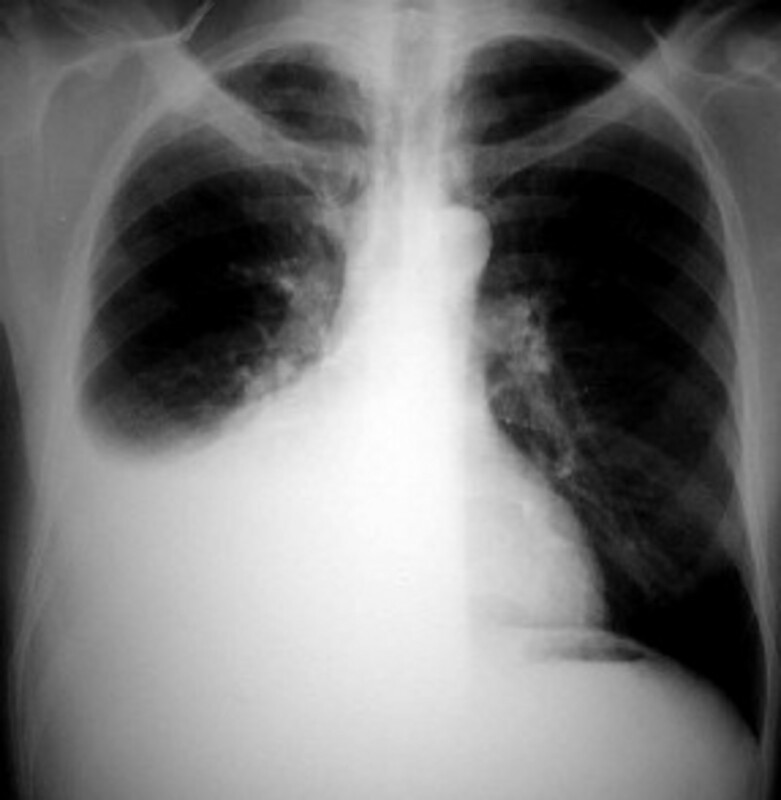 Sometimes all or part of the lung on the affected side is also removed. But once at the later stages of Pleural Mesothelioma and if not diagnosed in time then it is fatal within twelve months. Pleural Mesothelioma often causes fluid on the lungs, and this can be treated with needle aspiration biopsy. This will drain the fluid and give temporary relief. It is also used to diagnose the disease. It is inserted just under the skin and extracts cells which are examined under a microscope. Depending on the stage of the disease this procedure might not be enough and the more major surgical of an open biopsy is required. During this time treatments such as radiotherapy and chemotherapy are used for the Mesothelioma. It helps ease the pain and some other systems. Pericardial Mesothelioma originates in the lining of the heart. Pericardial Mesothelioma is the rarest type with only ten per cent of those exposed to asbestos developing this form of the disease. Pericardial Mesothelioma is caused by exposure to asbestos fibres, which are inhaled and absorbed into the bloodstream. They wrap around the heart's lining as the blood pumps through the heart. Pericardial Mesothelioma is also nearly always fatal. Peritoneal Mesothelioma develops in the thin cell walls which surround the abdominal cavity, known as the peritoneum. This form of the disease is usually fatal within twelve months of diagnosis. Shortness of breath; A persistent cough; Tightness and pain in the chest; Crackling sound while breathing; Weight loss and poor or no appetite. At the later stages of the disease the patient may begin to cough up sputum and blood, they may find it difficult to swallow or have a very hoarse voice. For Pleural Mesothelioma extra symptoms would be lower back pain, and pains in the side of the chest. Some people might notice that their arms or face swell up. For Peritoneal Mesothelioma extra symptoms would be constant nausea or vomiting. If the patient goes to the doctor with these systems then the following procedures will occur. Once a history of asbestos exposure is established by the patient the first test a doctor will order is Chest X-rays. A tissue sample from the chest wall may be taken with a thorascope to confirm the diagnosis. This would be done under general anesthetic. Other tests that could follow would be Pulmonary Function Test, a Biopsy, a Bronchoscopy, CT and MRI scans. A combination of radiation therapy and chemotherapy are usually given. Sometimes surgery may also be helpful. It depends on the stage the illness has progressed to once diagnosed. Using asbestos is now illegal in most countries but it is too late for those who have the asbestos cancer Malignant Mesothelioma. Thousands.more people around the world will be diagnosed with and die from Malignant Mesothelioma in years to come. Mesothelioma in Australia by Matt Mauney. 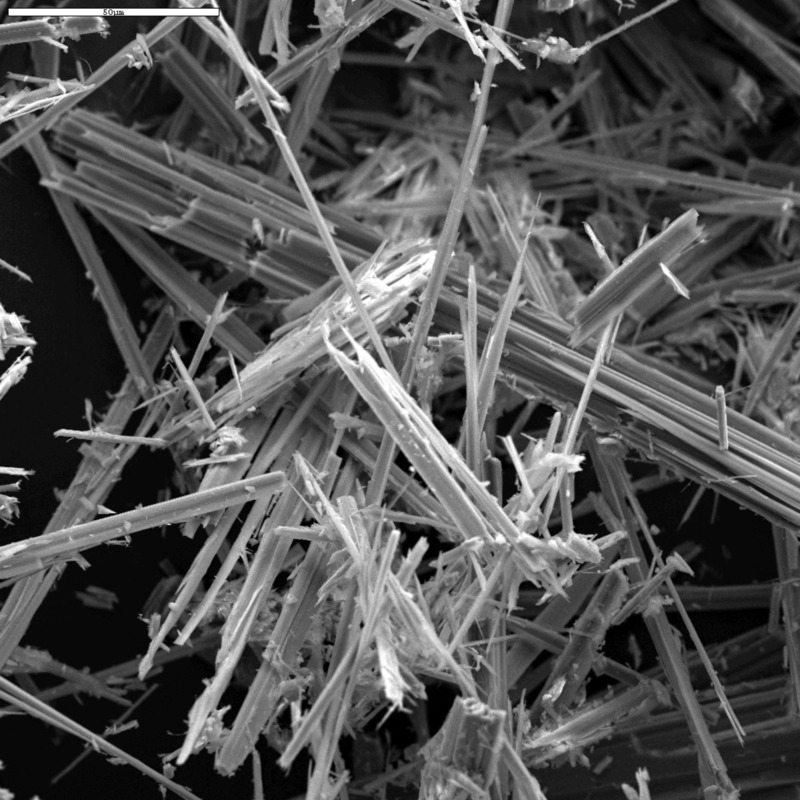 Asbestos kills 12,000 - 15,000 people per year in the U.S by Sonya Lunder. What is asbestos and how can it affect you? by The Telegraph newspaper. Sick Building Syndrome and Black Mold: Could Your Home Be Bad for Your Health? Hello Dr Ashish, Yes I agree with you, we have to be so careful of the dangers to our health that is all around us. I see asbestos all aound. There is just not enough awareness about the disease in India. Nice informative article you have created here. Sad to read about your Father's death as a result of asbestos cancer. If i may ask, were you able to sue to get compensated? Asbestos is a very deadly disease. We at www.lawyers-wig.com have been carrying out a lot of campaign awareness on how to avoid exposure to this deadly life threatening material. I just hope we listen. Asbestos was another product that was used all aver the world without knowing the devastating health risks. In most countries now it is banned but not all! Thanks for reading and leaving a comment mesothel. Yes it was quite complicated for me to get my own head around all the differnet types of Mesothelioma symptoms and treatments, so i hope I have managed to explain it in a professional way. This hub was very nicely written, and it also contains a lot of useful facts. Very informative Hub. This is a terrible disease and it's great that you are making people aware of what it is and what it can do if not treated early on. Very thorough job, viking. I was intrigued because I, too, wrote a hub on mesothelioma. Not many hubbers it would appear have tackled that subject.